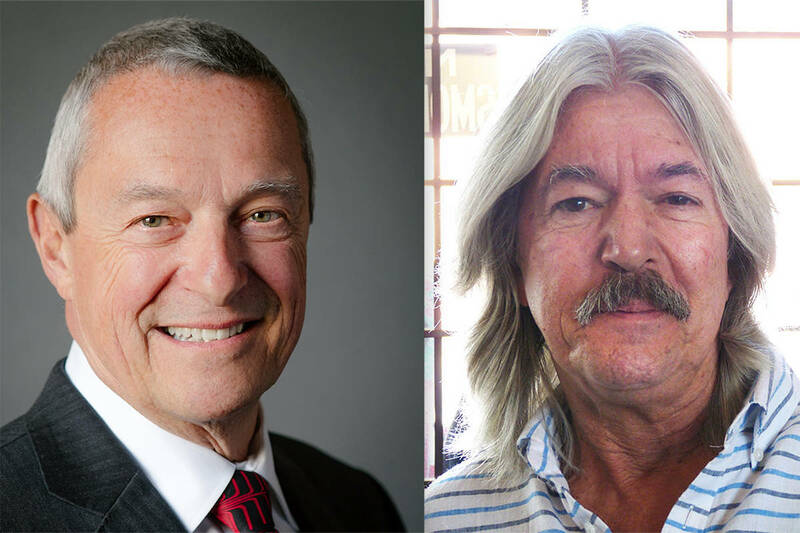 Recently declared Langley City Council candidate Randy Caine said instead of seeking a councillor’s seat, he will run for mayor if former Langley City mayor Peter Fassbender decides to re-enter municipal politics. “If he (Fassbender) chooses to run for mayor, I would, too,” Caine said Sunday . Fassbender, who confirmed last week that he is considering running for the mayor’s job in the City, responded by saying he would be willing to debate any candidate, but anyone running for office should be doing it for more than that. “I’m a firm believer in democracy,” Fassbender said. Fassbender, the former Liberal minister of education and later minister of Community, Sport and Cultural Development and minister responsible for TransLink, was mayor of Langley City in 2011 when a police raid forced the closure of Caine’s medicinal marijuana dispensary on the Fraser Highway. The dispensary was located in a condo unit next to a suite that City councillor Rudy Storteboom owned. Storteboom and Fassbender confirmed they discussed the councillors concern’s about the dispensary and the mayor said he told the councillor if the strata council that represented the owners believed illegal activities were being carried out, they should go to the police. Fassbender also attended an annual general meeting of the building owners . He said he was invited by the building manager and strata president (not Storteboom) to explain the city’s position that marijuana dispensaries or compassion clubs were not legal operations. Fassbender said council had nothing to do with the raid, but had unanimously voted against a medical marijuana dispensary during a closed-door meeting a few months previously based on legal advice that the dispensary violated federal government laws. Caine was charged after the raid with one count of possession of marijuana for the purpose of trafficking, which was later dropped. He pleaded guilty to less serious violations of exceeding the amount of marijuana he was legally allowed to sell under his Health Canada licence and of storing it improperly. Caine was then granted an absolute discharge on those counts, meaning there was no conviction on his record.